Finland will take over the Presidency of the Committee of Ministers of the Council of Europe on 21 November 2018. Minister for Foreign Affairs Timo Soini and Council of Europe Secretary General Thorbjørn Jagland met on 8 November to discuss the upcoming Finnish Presidency of the Committee of Ministers of the Council of Europe. 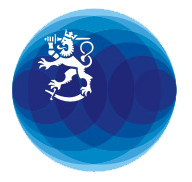 The website of the Finnish Presidency was opened on the same day. Protocol No. 16 to the European Convention for the Protection of Human Rights and Fundamental Freedoms on a system of advisory opinions entered into force on 1 August 2018. Amendments to the Nationality Act (Kansalaisuuslaki 359/2003) entered into force as of 1 September 2011. The Act aims to improve the social cohesion and integration of immigrants by making naturalization more flexible. Amendments to the Nationality Act (Kansalaisuuslaki 359/2003) will enter into force as of 1 September 2011. The Act aims to improve the social cohesion and integration of immigrants by making naturalization more flexible. Finnish citizens need to keep their address updated in the Population Register System to ensure that they are informed about their right to vote in the parliamentary elections of spring 2011. Finnish citizens who reside abroad are obligated to make a notification of change of address to a local register office in Finland. It is advisable to inform the address to the nearest Finnish diplomatic or consular mission too. Showing 11 - 20 of 34 results.